the ES74 Gallery in Alexandria from 2015 to 2018.
of Ivana Jovanovic (artist/curator) in the development of the exhibition's creative context. Image courtesy of Anthony Hodgkinson, It Only Brings Me Sorrow, 2018. The camera located in the ubiquitous smart phone we carry everywhere with us has altered our relationship to photography. Historically, taking a photo verged on a sacred moment as the stillness, aspect and framing needed to be carefully planned. For the first photographers and their subjects, it was a meditative moment – standing perfectly motionless, never smiling. Over the last 200 years, we have moved from such archaic technology to high definition film, digital cameras and various forms of multi-media. In so doing, photography seems to have slowly lost its sense of enchantment. Despite this, we should never forget the power and beauty of photographs capturing a moment – but like other technological marvels in our contemporary society, be it flying across the world or the streaming of millions of songs through handheld devices – it is much too easy to take such things for granted. is its ethereal invoking of an exact moment that is gone forever and will never be captured again. It is from this perspective that we can understand the work of Anthony Hodgkinson. ​The series of images he presents are ‘endured moments’ as he moves to capture the landscapes in both his chosen medium and by ‘marking’ his work with the physical landscape he photographs. 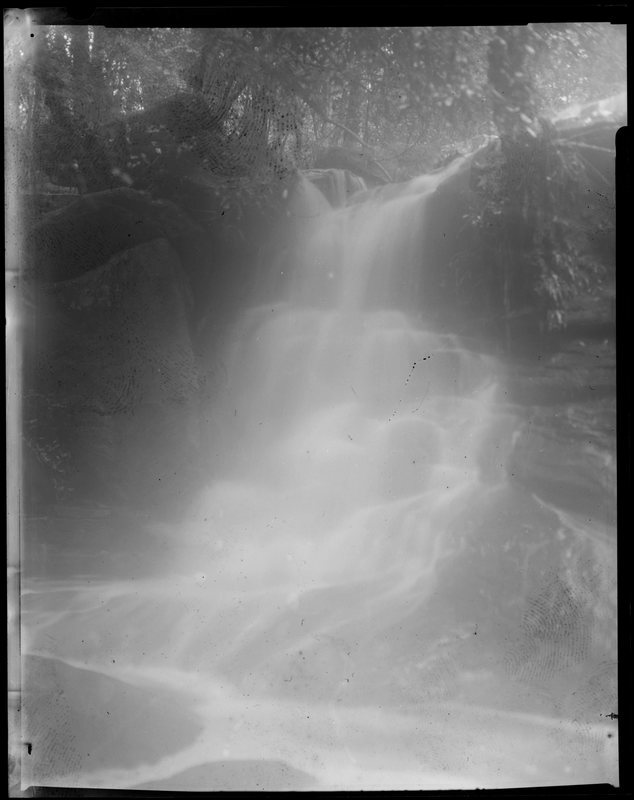 He does this by exposing the film used to the actual elements of the landscape photographed – literally standing in the waterfall and allowing the environment to re-configure the captured moment. This process distorts the image and what we are left with is a ‘feeling’ the landscape rather than clearly seeing it. In this way, Anthony invites us to sense the landscape, not just allow our mind to reflect on the imagery. In Camera Lucida, Barthes finds the photo that best represents the substance of his mother but does not share it with us, simply stating, "It exists only for me. For you, it would be nothing but an indifferent picture." It is here that Anthony diverges from this tradition: his works capture both the substance of the landscape and the moment he endures to bring it to us. It is for this reason that his unique method draws us in emotionally and aesthetically. The works create a relationship with the image, the landscape and the artist. It is what Barthes described – and what Anthony has achieved. Barthes, R. (1980). Camera Lucida. New York: Hill and Wang.